With the many challenges facing our planet — societal, economic, environmental, and more — we’re all the more eager to release the UrtheCast Developer Platform, which is now publicly available and offers tools to help people solve global problems. 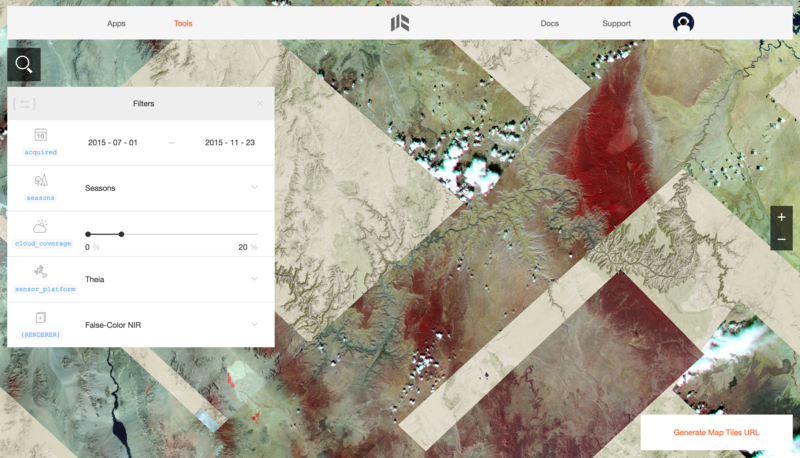 What this beta platform does is open up access to a deep trove of Earth Observation data, at an unprecedented scale. Built by developers for developers, the UrtheCast platform makes it easy for devs to build tools to monitor deforestation, refugee crises, environmental change, impacts of natural disasters, urban growth, natural resources, commodities trading, and much more. Pulling satellite imagery from a variety of sensors at different resolutions, developers can leverage our growing suite of camera sensors — two ISS sensors and two stand-alone satellite sensors — in addition to third-party providers like NASA. Imagery, video, and metadata are extracted from all of these sources to provide developers with an increasingly rich archive. Our groundbreaking suite of Earth APIs, services, and tools all allow for increased access to Earth Observation and geospatial data. Areas of interest across the world can now be monitored programmatically, and at a global scale. This gives researchers, scientists, farmers, traders, policy makers, and others access to near realtime data about our Earth. Free access is available for everyone, as are advanced developer plans starting at $39. These APIs are built on open, modern web standards, and there’s no need to be a geospatial expert to leverage the power of the platform to gain insights of the ever-changing planet. A select group of innovators have already begun to use our data and platform services, including the World Resource Institute, Global Forest Watch, the United Nations’ UNITAR, OmniEarth, and Riverside Research, among others. To learn more about UrtheCast’s partnership with Global Forest Watch (GFW) — a dynamic online platform that allows anyone, anywhere with an internet connection to monitor the loss of trees around the world — read more, here. Visit www.urthecast.com/developers for UrtheCast platform details.